The family lawyers allege that Mdm Goh "has become irreversibly vegetative" since June 2014 "because the defendant doctor and hospital had woefully failed in their duties to the patient to manage her post-operative complications appropriately". SINGAPORE-A neurosurgeon from the National University Hospital was sued after his patient fell into a vegatative state five years ago in 2014, after a brain operation. 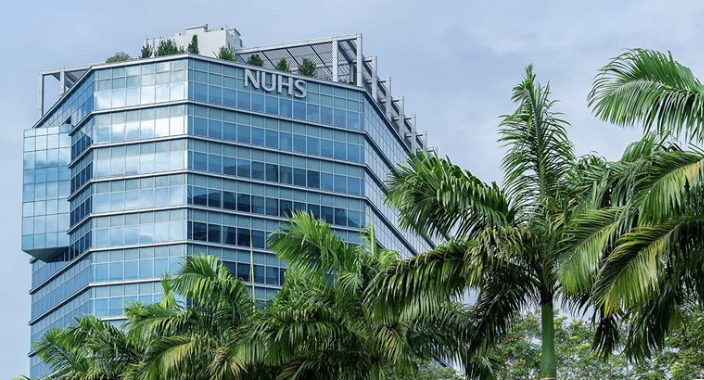 The patient, Madam Goh Guan Sin, now 64, went to NUH in 2014 for a surgery to remove a large tumour at the back of her head that was compressing her brain stem. The surgery was performed by NUH’s head of neurosurgery Dr Yeo Tseng Tsai. After the surgery on Jun 2, 2014, Mdm Goh suffered post-operative bleeding in the brain, which happened in the brain stem. A group of senior neurosurgeons chose not to remove the blood clot due to the high risk of death. Instead, the doctors, led by Dr Yeo, inserted an external ventricular drain (EVD) to drain the fluid that had accumulated in Mdm Goh’s brain to relieve pressure and stop further damage from her brain swelling. Eventually, though Mdm Goh survived, with the tumour successfully removed, but she has been in a vegetative state for about five years and remains at NUH. According to the family’s lawyers, Mdm Goh “has become irreversibly vegetative” since June 2014 “because the defendant doctor and hospital had woefully failed in their duties to the patient to manage her post-operative complications appropriately”. They claimed that Mdm Goh’s current vegetative state is the outcome of Dr Yeo and NUH’s failure to diagnose and treat the cerebro spinal fluid accumulation inside her brain before the surgery; failure to assess Goh’s condition right after the operation; and their failure to remove the blood clot in her brain surgically. In fact, Mdm Goh’s lawyers said that her vegatative state could have been prevented with earlier clinical intervention of the blood clot. They also alleged that Dr Yeo had failed to advise Mdm Goh’s family about the treatment and management she was receiving. Dr Yeo’s lawyers deny the Goh family’s allegations completely, claiming that proper discharge of duty of care was done on the part of Dr Yeo. To prove himself, expert witnesses over the course of the trial will be called in to testify that Dr Yeo had indeed done so. Dr Yeo’s lawyers will argue that consent was given for the surgery from Mdm Goh, and “a doctor owes a duty of care only to his or her patient and no one else”, with no duty to obtain informed consent from the patient’s family unless there is a legal representative appointed for such a purpose. The hospital, represented by Senior Counsel Kuah Boon Theng and her team from Legal Clinic LLC maintains that the devastating outcome “was not the result of any negligence on the part of its surgeons or staff” and whatever advice and risk that Mdm Goh received and undertook was “always correct, appropriate and adequate”.